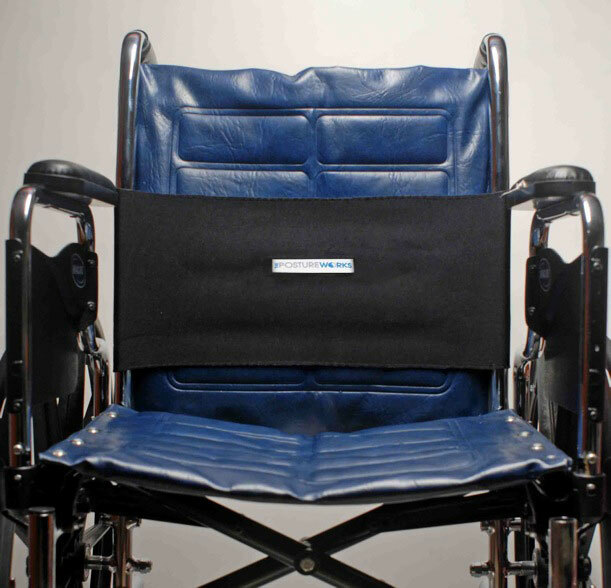 The PostureWorks Space Saver Back Support improves posture, pressure redistribution, stability and function without reducing wheelchair seat depth. Maintaining correct seat depth is a critical element of managing pressure by ensuring that appropriate seating surface ratios are preserved. 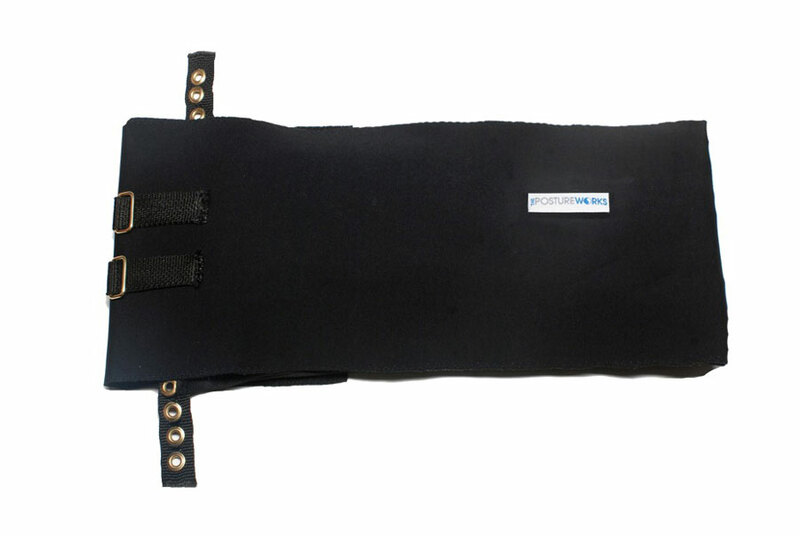 The Space Saver Back Support incorporates a unique support element behind the sling back to provide posterior support to the pelvic and lower lumbar regions, promoting a neutral pelvis and a stable, upright trunk. The Space Saver Back Support uses a tension-adjustable strap system to facilitates the optimal balance of support and comfort for the user, resulting in a safe and comfortable position in the wheelchair. Product Warranty The PostureWorks warrants its products to be free from defects in workmanship for a period of twelve (12) months from date of purchase. Thank you for choosing The PostureWorks Space Saver Back Support. Please familiarize yourself with the proper use and care of your new PostureWorks device. If you have questions, or need further assistance, please contact us toll free at 1-866-860-5200; a representative will personally assist you. Start by placing the support insert, which is located in the back pocket, flush against the rear back upholstery of the wheelchair. 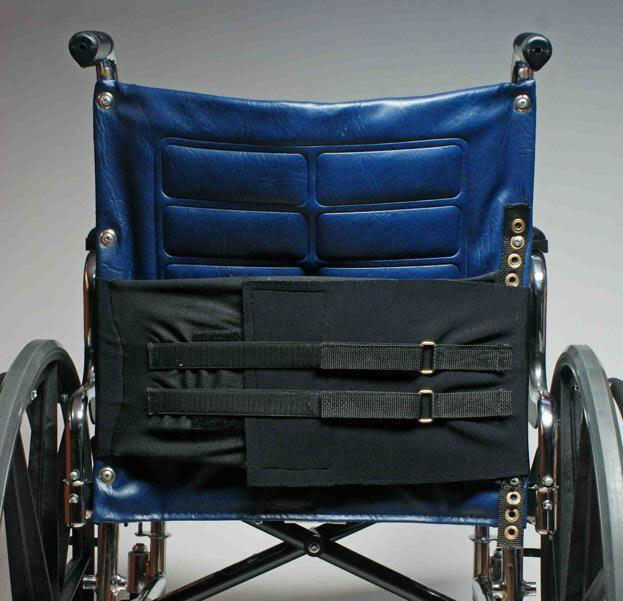 Wrap the neoprene extension around the wheelchair so that the PostureWorks’ label is located at the front. 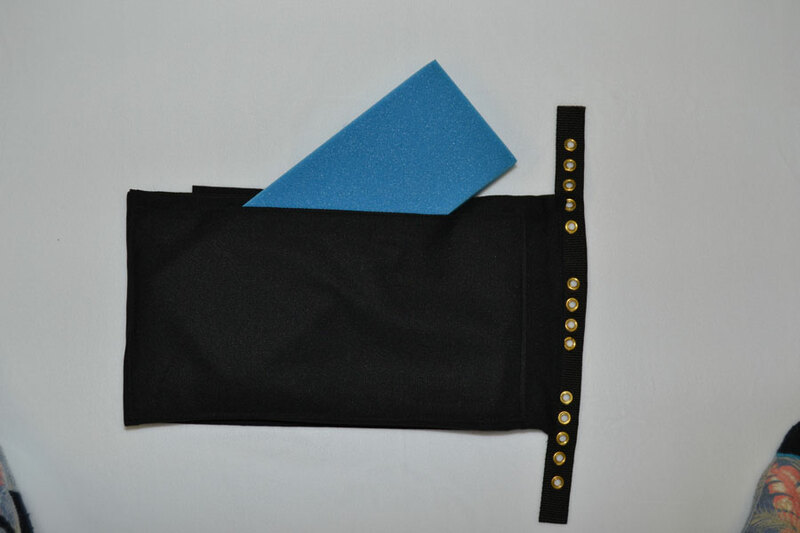 Secure the Space Saver Back using the Velcro hook (located on the neoprene extension), and the velcro loop (located on the insert support pocket). Note: Tension will be directly related to how tightly you pull and secure the neoprene extension. Position the Space Saver Back at the appropriate height for the patient. Remove 2 of the screws from the right side of the wheelchair back, and align the Space Saver Back to the appropriate height; re-attach the screws through the appropriate grommets on the Space Saver Back. This will keep the Space Saver Back secured at the appropriate height. Run the straps through the metal rings and pull until the desired amount of tension is achieved. Secure each strap back onto itself using the Velcro. The tension straps enable the caregiver to control positioning according to each patient’s needs. CLEANING: Remove the foam lumbar insert and Space Saver Back may be machine washed and dried. Gentle cycle is recommended with a mild detergent. DO NOT USE BLEACH. WARRANTY: The Space Saver Back Support is warranted to be free from defects in materials and workmanship for a period of twelve (12) months from purchase under normal use.